As I mentioned in my Tooele Transcript Bulletin report on this year’s Iosepa festivities, The archaeological team that began digging at the old Iosepa townsite in 2008 is back again this year. The study is led by Benjamin Pykles, a professor at the State University of New York at Potsdam. Pykles and a group of anthropology students spent a month in 2008 digging on a lot that was owned by one of Iosepa’s original settlers. I spent some time with Pykles and crew in ’08 and look forward to spending some time with them again this week. Just like it did in 2008, Pykles’ current study has caught the eye of a few major Utah media outlets. While it’s nice to see the Big Boys actually acknowledge Tooele County’s existence once in a while, I find their coverage somewhat lacking. That’s not entirely their fault. Iosepa is too significant a topic to completely ignore, yet too far distant (physically and historically) to devote any real time or resource to. The result is usually a quick run-down of the Hawaiian ghost town’s high-level history laced with a few quotes from Pykles. Often more interesting than the stories themselves are the comments they garner on their websites. It’s clear that familiarity with Iosepa’s purpose and history is not widespread– at least among the commenting masses. If you’d like a good run-down of what’s going on with the dig, check out this piece by the Transcript Bulletin’s Sarah Miley. Later this week I’ll post a Iosepa FAQ of sorts here that will address a number of misconceptions about the old place that seem to spread through news media comment boards every time Iosepa is mentioned. And later this month I’ll be writing about another Iosepa adventure. The sun had begun to sink behind the Cedar Mountains, its burnt orange rays reflecting on the surfaces of Skull Valley’s normally unseen network of springs. The scents of smoke and juniper hung in the air as the last groups of hikers trickled back along the wishbone trails that lead down from Salt Mountain. The day was waning, but the atmosphere pulsated with the spirit of aloha. The following originally appeared in the June 3, 2010 edition of the Tooele Transcript Bulletin. “Talofa!” Josh Mulivai called as he walked on stage waving a ceremonial war knife that flamed audibly at both ends. “Talofa!” Came the crowd’s retort, though with less gusto than the warrior-garbed 14 year old had hoped. “You can do better than that!” He yelled before repeating the Samoan greeting. This time the response was sufficiently enthusiastic. 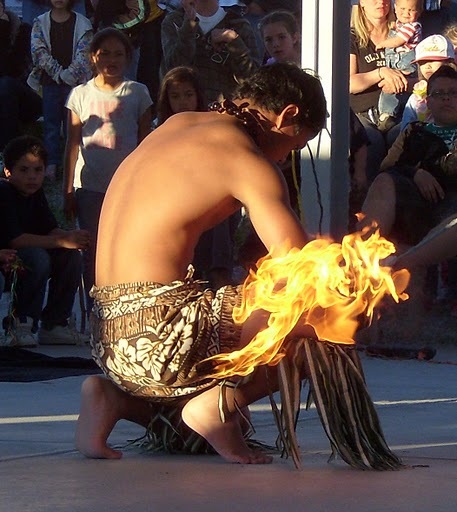 Mulivai began twirling the burning machete to the beat of a single tribal drum as he and his brother, Jacob, ramped up a jaw-dropping performance of a traditional Ailao warrior dance. The sun had begun to sink behind the Cedar Mountains, its burnt orange rays reflecting on the surfaces of Skull Valley’s normally unseen network of springs. The scents of smoke and juniper hung in the air as the last groups of hikers trickled back along the wishbone trails that lead down from Salt Mountain. The day was waning, but the atmosphere in the old Hawaiian ghost town, accompanied by Mulivai’s drum, pulsated with the spirit of aloha. I have no genetic ties to Polynesian peoples, which makes my bond with the culture a challenge to explain. Whatever its roots, it runs much deeper than the allure of exotic locales and the much coveted “island mindset” we mainlanders tend to attribute to them. 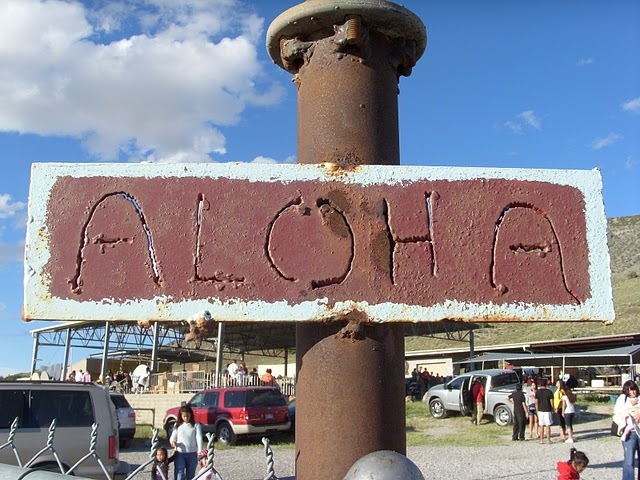 Less difficult to define is my interest in Iosepa, the Skull Valley town settled by Hawaiian converts to the LDS Church in 1889. The town’s story is punctuated by faith, hardship, and its unique position at the crossroads of extremes—tropics and desert, gathering and seclusion, joy in desolation. Few places speak to the history-minded adventurer like Iosepa. 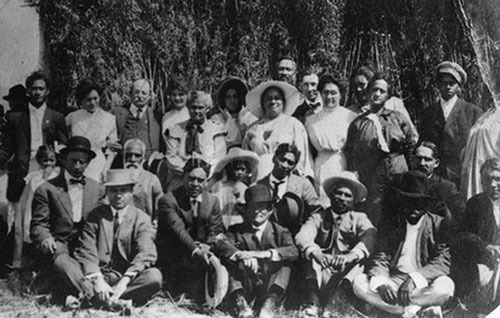 Iosepa’s history spanned a relatively brief 28 years, ending in 1917 when the bulk of its settlers returned to Hawaii to support the newly announced temple there. Iosepa was sold off, its buildings dismantled. Only the town’s small cemetery remained, along with overgrown sidewalks and images of sharks, sea turtles and palm trees carved in nearby rock outcroppings. A resurgence of interest in Iosepa several decades later resulted in the 1971 placement of the cemetery on the National Registry of Historic Places. In 1980, a collection of Iosepa descendents and other Polynesian families began a tradition of beautifying the graveyard annually on Memorial Day. Then LDS apostle Gordon B. Hinckley dedicated a monument on the site in 1989. 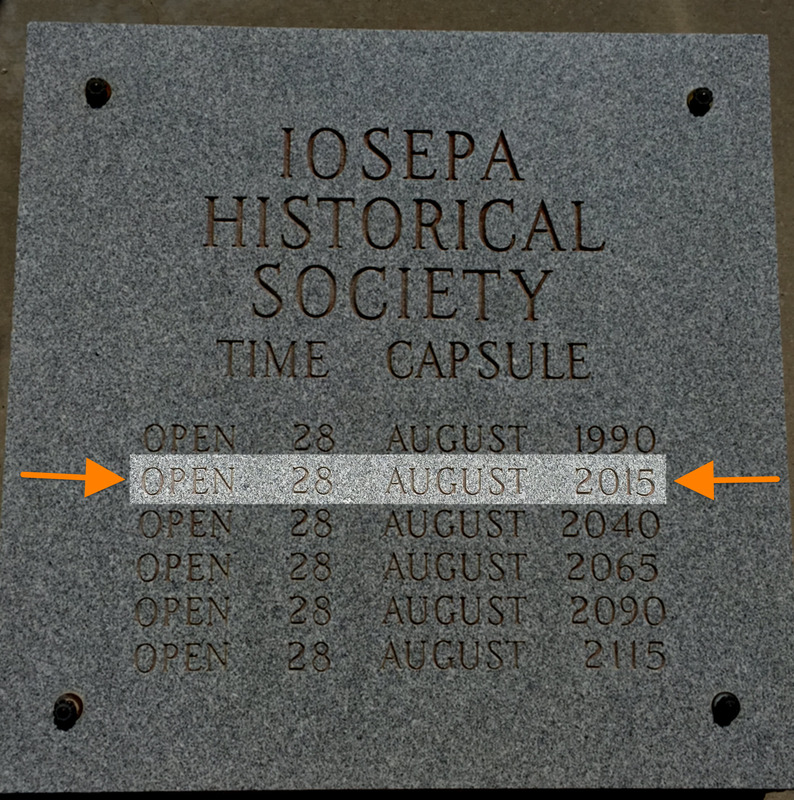 The Iosepa Historical Association was organized the same year. 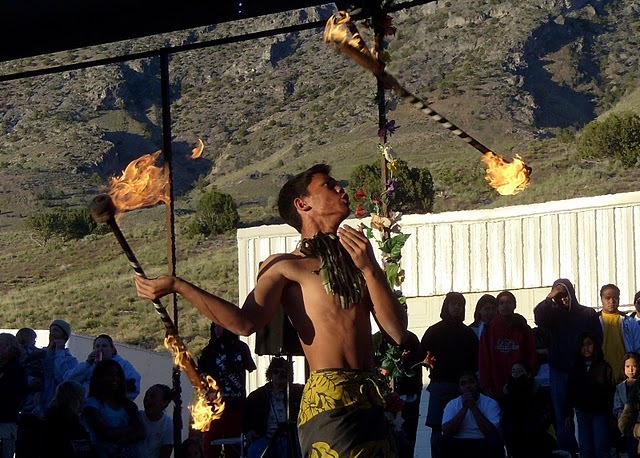 A pavilion was constructed adjacent to the cemetery, and the annual Memorial Day activities evolved into a weekend-long celebration with additional emphasis on general Polynesian heritage. On the historic front, an archaeological study of the old town site by a team from the State University of New York at Potsdam began in 2008 and is shedding some light on day-to-day life in Iosepa. After a year-long hiatus, the study will resume there next month. Iosepa is coming full circle, its story fleshed out little by little as stories are recorded and discoveries made. I’ve been attending the Memorial Day weekend festivities at Iosepa since the late 90’s, when curiosity led some friends and me to the Saturday evening luau. We were greeted with open arms and filled plates, and I’ve only missed one year since. The pot-luck dinner was under way when the kids and I arrived at the pavilion last Saturday evening. Opting not to wait in the hundreds-long food line, the boys headed for the hills. I placed our fruit platter on the serving table and sat with 1 year old Dillon beneath the pavilion. To my surprise, a friend who had seen us arrive set a food-packed plate before me. Dillon allowed me a few bites before commandeering the fork and clearing the plate. After dinner, I walked up the mountain to meet the boys on their hike. 4 year old Coulter pointed toward a distant ridge. “Dad, I think the ocean is that way,” he surmised. If he was referring to the Atlantic Ocean, I suppose he was technically correct. I played along. As far as he knew, we were really in Hawaii. And given the cheery air at the pavilion when we returned, we might as well have been. Children wearing flower leis danced to the music of various Polynesian performers. When two young boys decided to ride their skateboards across the stage, a woman wearing a traditional Hawaiian dress stepped to the microphone to chide them. “You rascals riding skateboards—that’s something you do on the mainland, not here,” she scolded. Her symbolic reference to the mainland sparked a thought: The Iosepa celebration to me is like the otherworldly portals you see in science fiction movies—there one precious moment and gone the next. For a short period each year, Iosepa becomes a window to a world where the past is lauded and the present enjoyed for what it is. Worries and cares are checked on the mainland. They have no place here. Small American flags marking Iosepa’s graves waved gently as the Mulivai brothers finished their knife dance. Crowds began to disperse with the sunset. Silhouettes carrying bundles of wood made their way from the ridge into camp. Soon the darkened hillside was dotted with bonfires. Many people would stay the night in tents and trailers and participate in more activities in the morning. Those less fortunate would say goodbye and make their way home. The boys and I walked back to our car. Soon we’d take our place in the long string of tail lights that wound slowly down the hill—away from Iosepa, and back to the mainland for another year.